Today’s blog comes from CEO and founder of the Amaya Trust, Alison Kriel. I have always believed that schools are about people and human connection. I remember my very best teachers. I have fond memories of a maths teacher, Mrs Wood. We had just moved from Northern Ireland to the outskirts of an English garrison town during a time when anti-Irish feeling was at an all-time high. My mum insisted that I go in my old school uniform on my first day. So there I was in my formal, Girls Grammar School bottle green pinafore (with matching green regulation bloomers), striped shirt and blazer thrown into the depths of what seemed like a huge, dysfunctional co-ed packed with noisy pupils, who flaunted all uniform rules and seem to have no desire to learn. I’d just left a school where academic success was the only option to an environment where teachers cajoled the students to learn with patience and good humour. Teachers like Mrs Wood clarified my understanding of what makes a good or bad teacher; what makes a good or bad school. The best schools promote human connection. Staff and pupils have a strong sense of belonging – accepted and included for who they are – with plenty of scaffolding for those going though vulnerable patches. I strongly believe that if children are emotionally well, they learn. If teachers feel emotionally strong, we see them at their very best. I recall moving from being a classteacher to being a school leader. I mourned the loss of human connection with my class. With time, I grew to love the feeling of connection with my staff and all of my pupils. I made myself available to them and they came to tell me everything, good and bad. I laughed and mopped tears. I showed compassion and when things were bad I put support into place. Our school grew into a nurturing environment. Warmth, kindness, understanding and respect was our norm. When pupils greet you with a warm smile before you greet them, you know you’re winning. My staff and my pupils worked hard for me and they were all successful in their own right. We were a happy school. 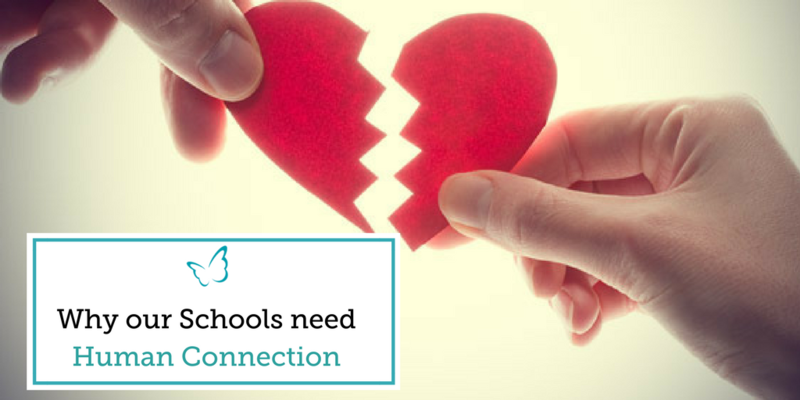 That human connection was the one thing that was most talked about by my community when I left headship last summer. I was reminded of long forgotten small acts of compassion were remembered and still valued. Sustaining human connection becomes even more critical when leading a MAT. It’s a complex role, which goes beyond modelling it to enable others to do it properly. Each school is competing for pupils, resources and high ranking in league tables. MATs are competing for the same talent pool, schools and funding. It could seem easier to cope in our education system by working in isolation but there is an urgent need to develop collaborative partnerships. Through collaboration at a higher level we can achieve so much together. It will impact on cognitive performance lead to happier, healthier schools with better outcomes, and prove to be more financially viable. I’ve always known that schools are about people, about human connection. If I choose to simple think about success based on data and profit then it can only be seen as human disconnection. I choose not to do that. It is far better to belong to myself, to hold on to my values and my beliefs so that I can serve my community well and lead with pride. I choose to work in schools because they are about people and I know that as long as we go on working together to develop happy schools which are about human connection, where we celebrate, respect and value each other, we will enable our students to be our best citizens. “When I joined my School, that period there had been a number of leaders which had led to instability. When the job was presented to me, I was asked to prepare the school for an Ofsted but lead to believe that with, leadership aside, everything was fine at the school. I quickly learned that that wasn’t the case. 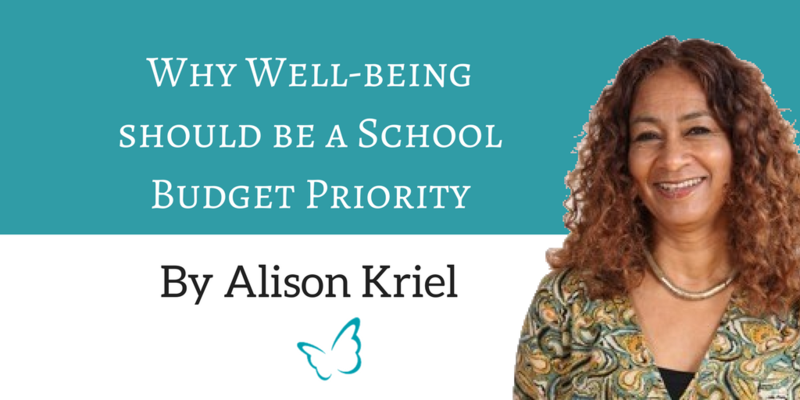 Click below to read how making Well-being a School Budget priority helped to transform Alison’s School….